How to Copy/Backup Blu-ray/DVD for Storing on WD My Cloud Mirror? 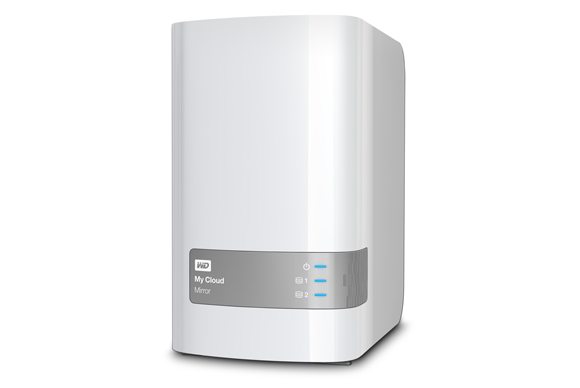 My Cloud Mirror personal cloud storage allows you to keep all your content in one safe place on your home network, so there’s no mystery about where your data is located. Plus, you get all the storage you need with. For Blu-ray/DVD disc collectors, storing your expensive physical Blu-ray/DVD disc on My Cloud Mirror will not only provide a safe place to back the data if the disc get damaged or scratched, but also offers you a pretty convenient way to enjoy the movies with the My Cloud mobile or web app either on your computer or on your smartphone or tablet. How to Copy/Backup Blu-ray/DVD to My Cloud Mirror? It won’t be difficult for you to copy/backup Blu-ray/DVD to My Cloud Mirror if you are using a proper Blu-ray/DVD Ripping program such as Pavtube ByteCopy for Windows/Mac (best Blu-ray Rippers Review). However, you may be confused which format to output for My Cloud Mirror (which has no specific requirements for the file types on it). In fact, you have a great many choice, it all depends on what your purpose uisng the output video file. 1. Make a full disc copy of Blu-ray or DVD: backup Blu-ray/DVD with original structures including subtitle languages, audio tracks, chapter information, etc well preserved for future Blu-ray/DVD burning. 2. 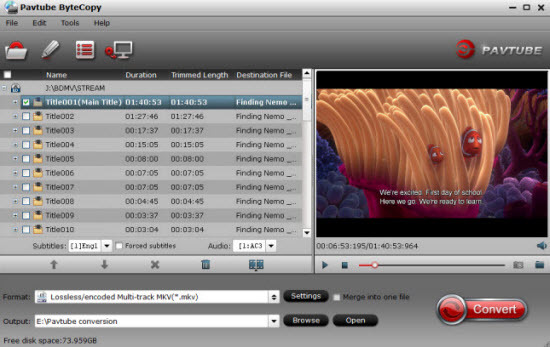 Main movie copy of Blu-ray/DVD: back Blu-ray/DVD with only the main title, which is convenient for playing on computer with media player such as VLC, MPC, KMplayer, etc. 3. 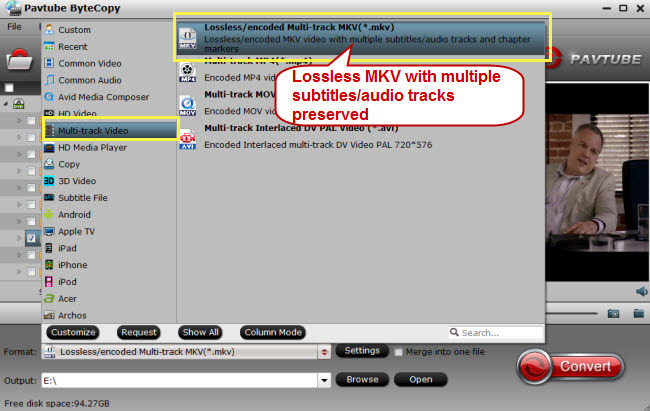 Lossless multi-track MKV backup of Blu-ray/DVD: a complete MKV file with your desired subtitle languages, audio tracks for media players. 4. Rip Blu-ray DVD to popular file formats: convert Blu-ray/DVD to common digital file formats for playing or sharing on different devices, programs. 5. Output Blu-ray/DVD to device preset profile formats: output device specially optimized file formats with optimal playback settings for viewing on smartphone, tablets, game consoles, TV, etc. 6. Rip Blu-ray/DVD to Web compatible video: Generate YouTube/Facebook/Vimeo compatible video, audio file formats, codec, bit rate, frame rate, resolution, sample rate, channel, etc. Generally, MP4 is recommended as the best digital file formats for copying Blu-ray/DVD on WD My Cloud Mirrror since the file format preserves good video quality with small file size and has wide device compatibility. How to Store Blu-ray/DVD on WD My Cloud Mirror with Pavtube ByteCopy? Step 2: Different ways to copy Blu-ray/DVD to WD My Cloud Mirror. Tips: You can also choose to output other popular file formats or device and programs preset profile formats for using on different devices with WD My Passport Ultra according to your own needs. 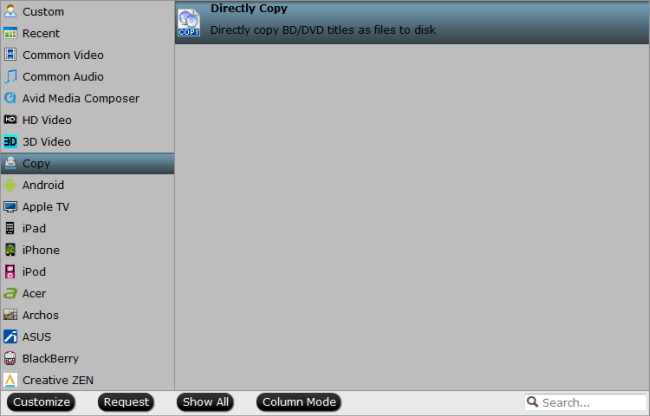 Go back to the main interface, press right-bottom “Convert” button to start Blu-ray/DVD movie to WD My Cloud Mirror copying or backup process. When the conversion is completed, click “Open Output Folder” on the main interface to pop out the folder with converted files. You will then have no problems to transfer Blu-ray/DVD on My Cloud Mirror for safe store or convenient access on computer, smartphone or tablet. How to Play Media Files with Plex App on WD My Cloud Series?